Working with older adults no longer means working exclusively with frail or disabled people. Older adults are healthier now on average than in decades past, but they still require specialized care. Mental health providers are seeing a growing number of older patients in their practice and may have little experience in the best methods for working with them. To fill that gap, Patricia A. Arean assembled this volume of best practices in treating mental disorders in late life. It includes an overview of geropsychology and the training resources available to help clinicians develop the competencies they need to work with older adults. 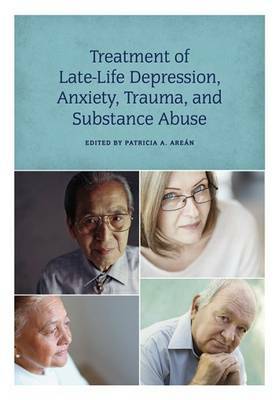 Chapters focus on evidence-based treatments for late-life depression, anxiety, trauma, and substance abuse disorders, including cognitive behavioral therapy, problem solving treatment, behavioral activation, interpersonal therapy, relaxation training, exposure therapy, substance abuse relapse prevention, and motivational interviewing. Detailed case examples in each chapter illustrate the interventions in action. Although mental disorders are not as common in later life as they are in younger populations, they can be disabling and costly. With the accumulation of evidence over the past twenty-five years, assumptions about whether older adults can benefit from psychotherapy have changed greatly. Not only is psychotherapy a more effective treatment option than medication for many older adults, the effects are as good as those seen in younger adults. This book will help mental health providers take advantage of the latest research and be more effective in their work with older adults.